Mark Higgins has recently taken over the position as Head of Horticulture for Bord Na Móna. Mr Higgins joins Bord Na Móna Horticulture with a strong strategic commercial and operational background which he has gained within the FMCG sector, with considerable experience in growing market share in very competitive environments. He has spent much of his career to date in Ireland and the UK and has extensive experience in delivering business performance targets. Mark Higgins joining Bord Na Móna Horticulture is well timed for the organisation’s horticulture business, which is the leading Irish supplier of growing media and barks in Ireland and the UK and has an expanding footprint in international market. It is the fastest growing player in the garden centre trade in the UK and holds a significant market share in both the private label and professional sectors. Its Bord Na Mona Growise branded range for home gardeners was launched in 2010 and has won a number of awards since, including the Which? Best Buy compost award for seven years, this brand Mark says presents a substantial growth opportunity. Mark joins Bord Na Móna Horticulture from Hovis Limited where he was General Manager for Hovis Ireland and led a turnaround plan to re-establish the business as the leading supplier of both branded and private label bread products to the retail sector in Ireland. 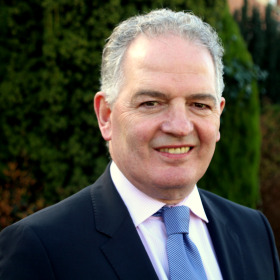 In addition to this he has held senior management and leadership roles in a number of leading international organisations including The 2Sisters Food Group, Ornua and Glanbia Plc. Throughout his career Mark has served as Non-Executive Director on various boards including The British Cheese Board Limited, Council Member Of The Provisions Trade Federation (UK) and The English Butter Marketing Company Limited. Mark replaced Gerry O’Hagan who has been appointed to a new role in Bord Na Móna - Head of Strategic Projects.